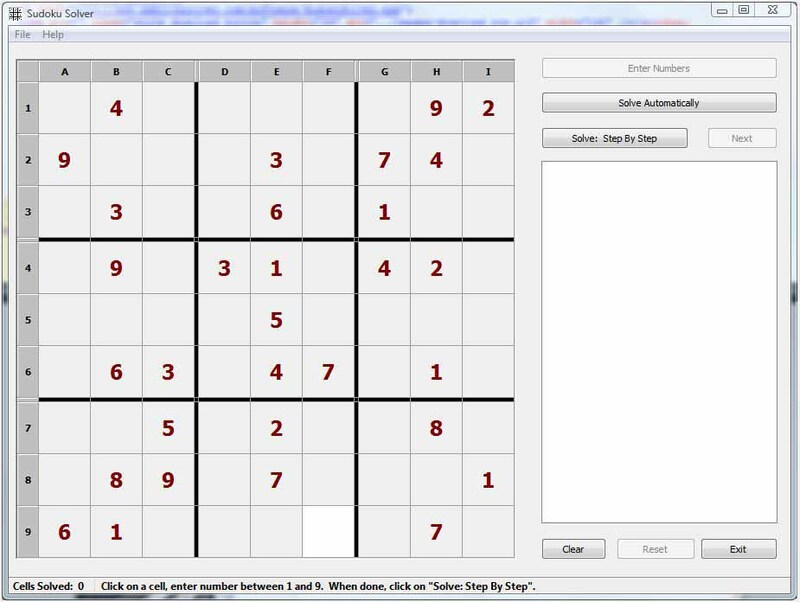 Sudoku Solver solves any puzzle - easy or hard. 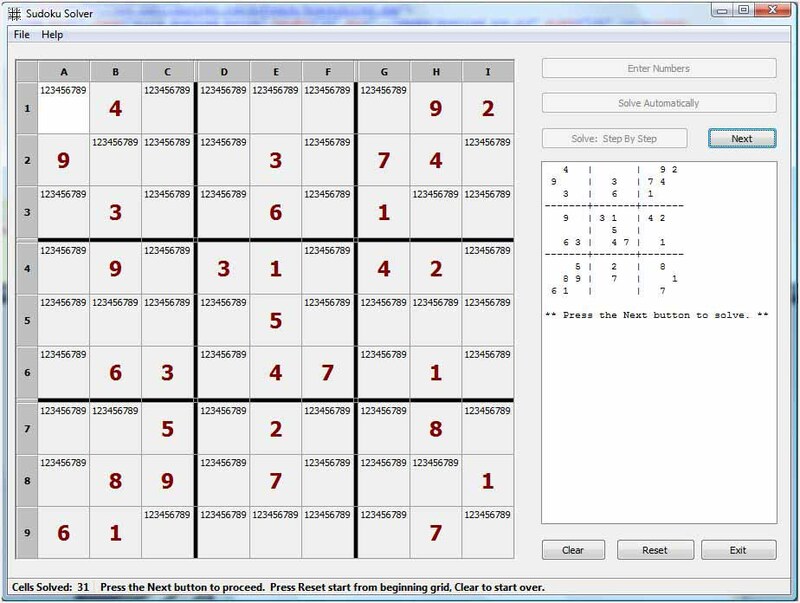 Just key in the starting numbers of your puzzle, and the program will come up with the solution. You can have the program solve the puzzle right away and display the answer, or you can have the program visually show you how it comes up with the solution step-by-step. 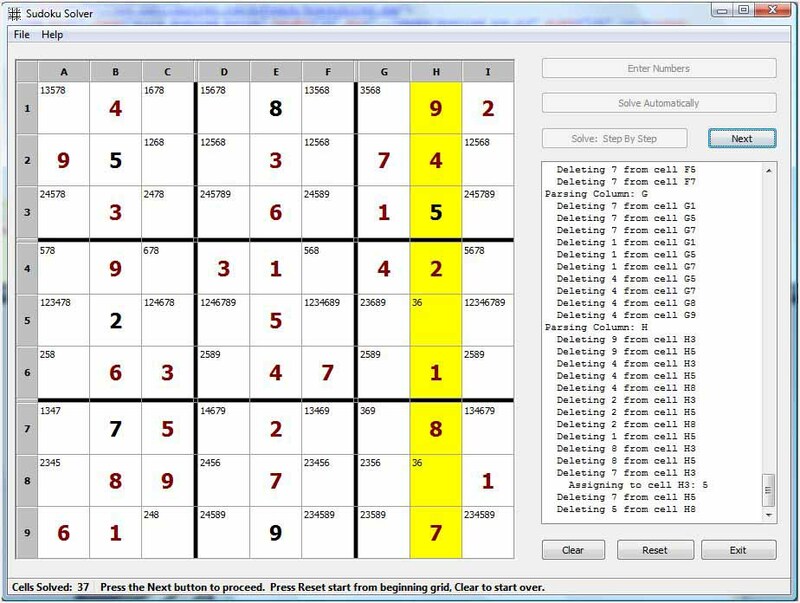 How the program solves the puzzle is displayed in a list box to the right of the puzzle. The initial puzzle along with the solution shown in the list box can be saved to a text file for later reference. Example screens are shown below. 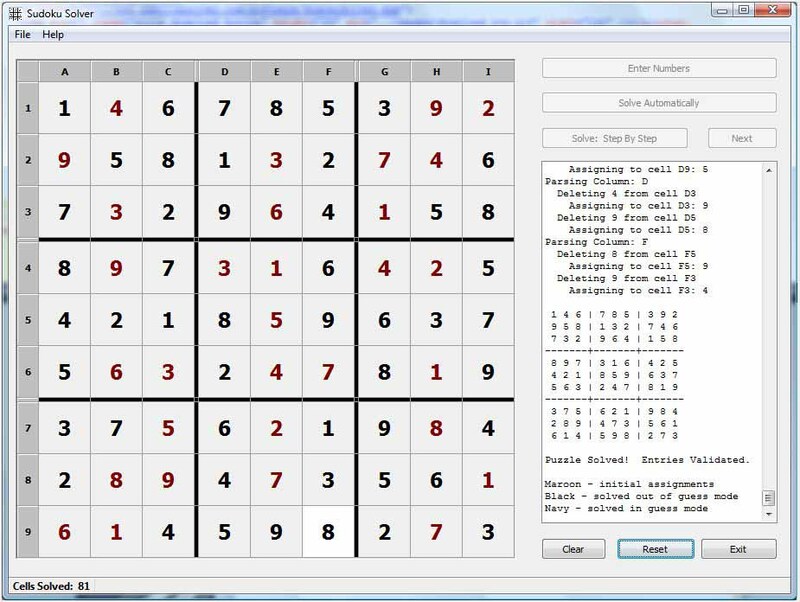 A simple help screen displays instructions on how to use the program, and also gives an explanation of the strategy used by the program to solve sudoku puzzles. Just download the file (SudokuSolver.exe). Once downloaded, just double-click on the file to start to program. No fancy installation, and no uninstallation is needed. To get rid of the program, just delete the downloaded file. Click on any screen to display a larger view.